Whether you are looking to volunteer, on your gap year or enjoying a career break – Come join us! 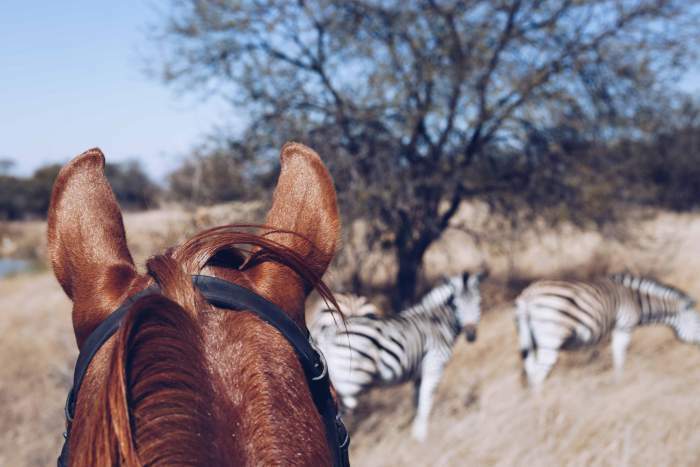 Working with horses abroad is one thing, volunteering with horses at an African stables is a unique experience, unlike anywhere else in the world. 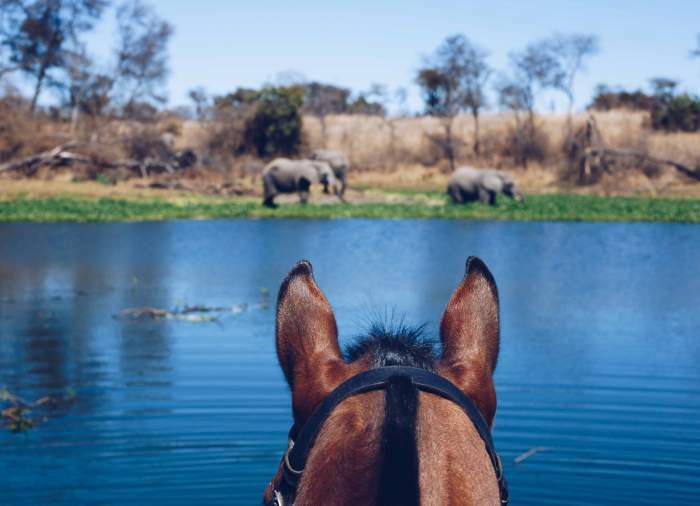 Abroad in Africa, the vet doesn’t live 5 minutes down the road, medicine and equipment isn’t always readily available and tack can’t be ordered off the internet. As a result, working abroad at an African stables requires imagination (improvisation often being a necessary tool! ), confidence, hard work and determination. 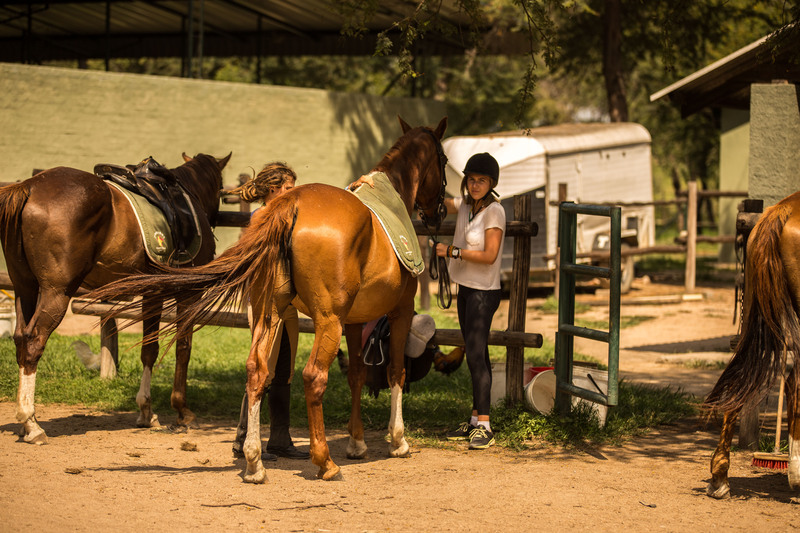 You will receive a hands-on experience, helping to manage the stables, trying your hand at basic veterinary tasks, shoeing horses and gaining experience you often won’t get when working in other countries. 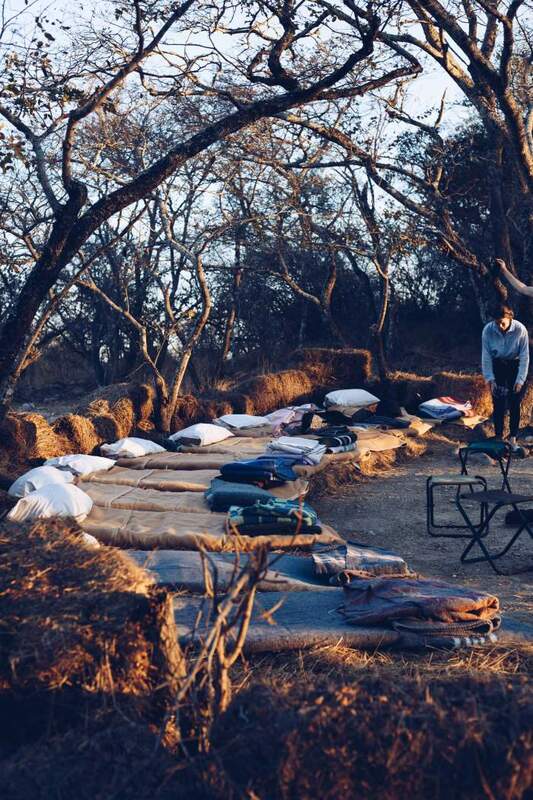 Possibly a great addition to a gap year? 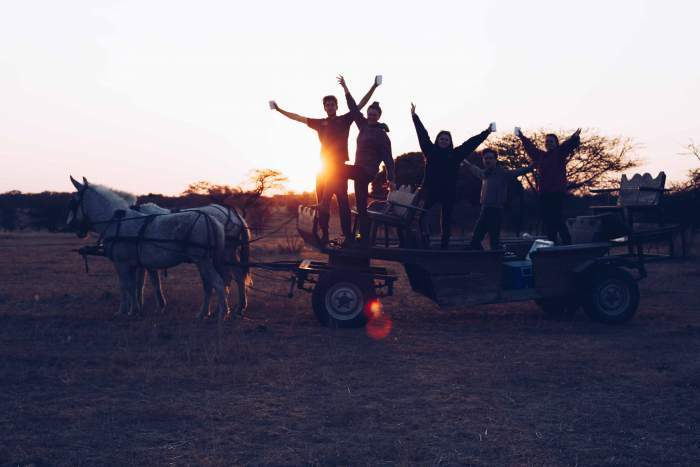 As an intern you will gain experience in the daily running and management of a Zimbabwean stables, which caters for horse-riding lessons, horse safaris, carriage safaris and polocrosse while soaking up the essence of the African bush. 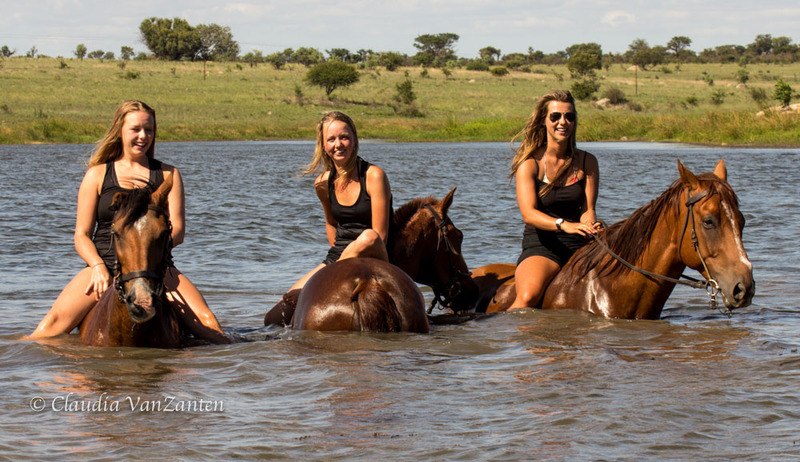 You will get the opportunity to ride alongside plains game, take that giraffe selfie, swim with horses, learn polocrosse and participate in hands-on work with over 30 horses. 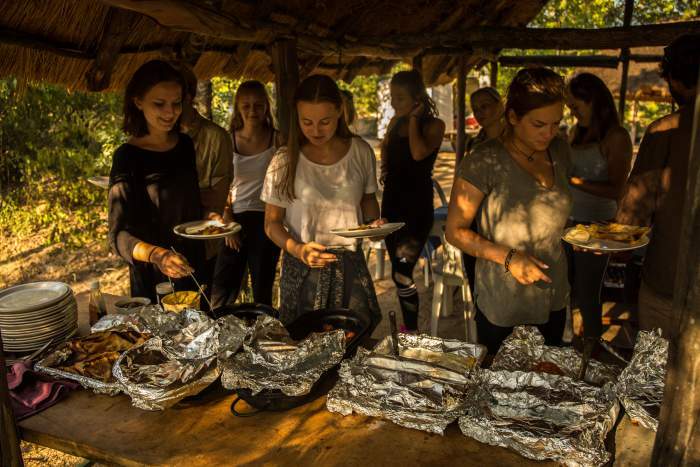 Based on a beautiful lodge, this project runs alongside several other volunteer and gap year programmes, including a lion release programme and community projects. As a result, we have many lion on the property, 4 resident ellies and there are plenty of other volunteers to interact with. 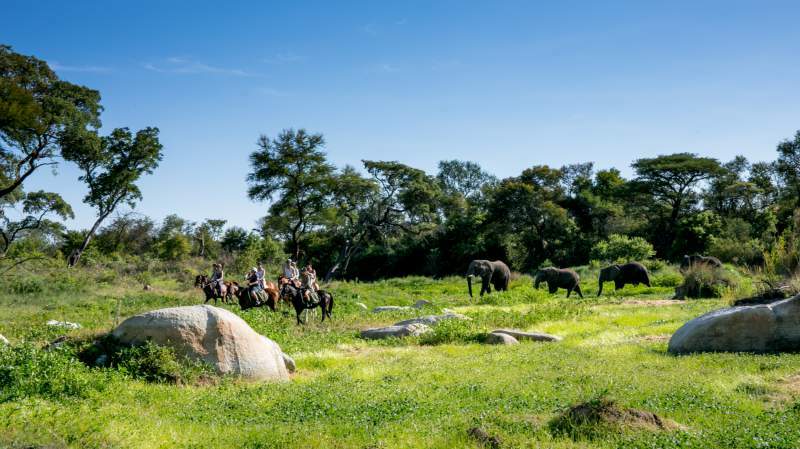 Staying at Antelope Park and being able to enjoy its other activities, such as its lion research and release project, elephant herding and of course on hot days – the swimming pool! 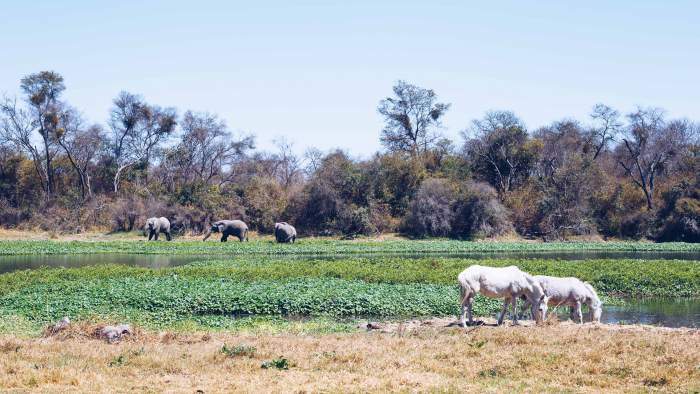 As you turn off the main road through Gweru, heading for Antelope Park, you enter beautiful, untouched bush country. In every direction, as far as the eye can see, are vast grass and scrub lands dotted with Africa’s iconic acacia trees. This large piece of paradise will provide the base for your horse placement. 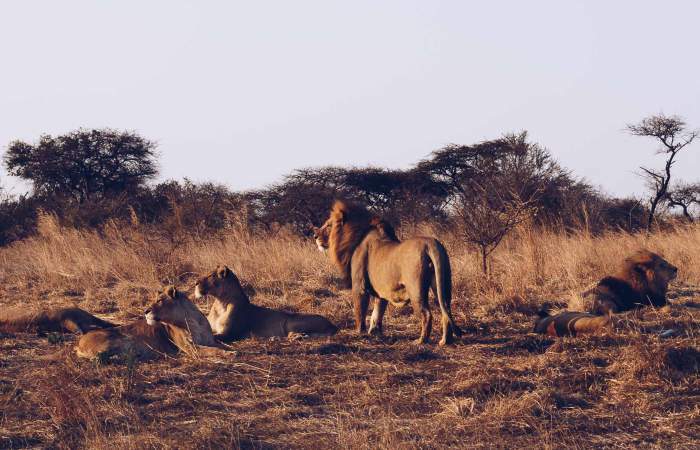 Antelope Park itself has its own private game reserve which is home to giraffe, zebra, wildebeest, kudu, impala and many other types of plains game. 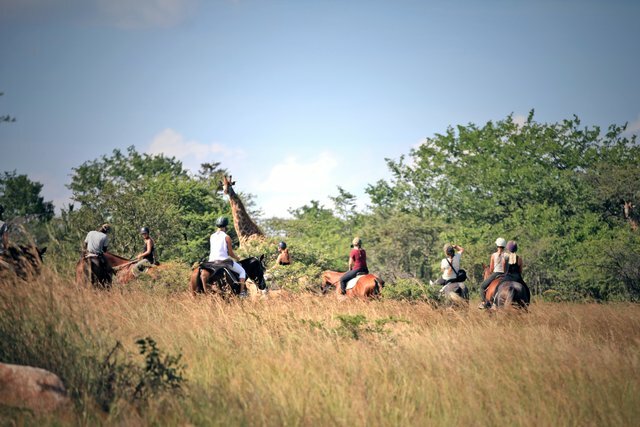 The reserve and the surrounding country makes for excellent riding terrain and there is nothing better than setting out each morning at sunrise and watching the sun’s rays light up the long grasses. Antelope Park itself provides shelter for 4 rescue elephants and acts as a base for the ALERT (African Lion & Environmental Research Trust). 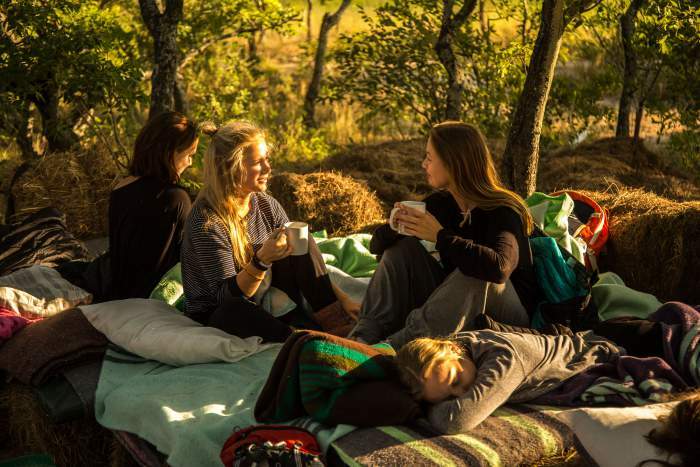 There is often a large group of volunteers from across many projects and you will eat and sleep alongside them – making friends from all over the world. 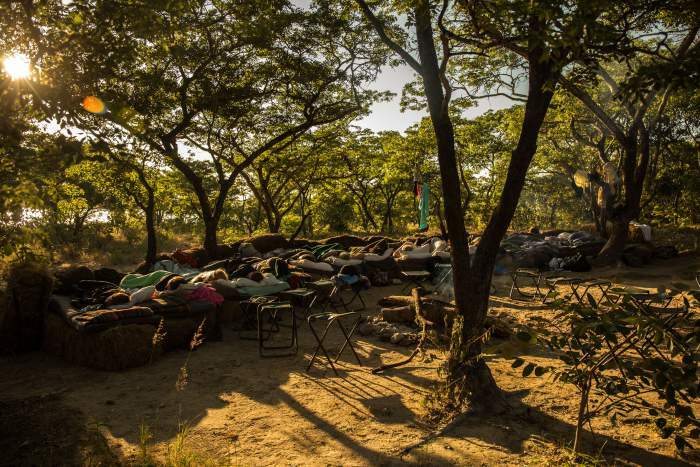 Zimbabwe is a stunning country with spectacular sights that should not be missed. Options for excursions to Victoria Falls, Matopus National Park and Lake Kariba are available and highly recommended! Due to the flexible nature of the placement, and the joys of working at an African stables (! ), a fixed routine isn’t always effective. However, listed here are some of the activities that will make up your placement and become part of your ‘every day’. 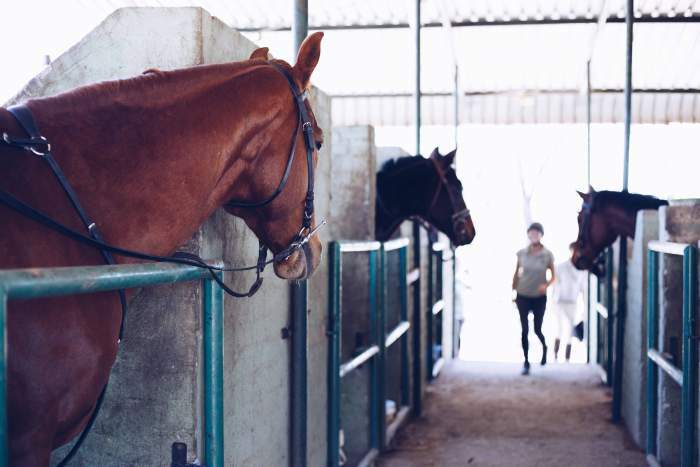 Induction to the stables: Being introduced the horse-riding safety guide lines, guiding conduct, lesson guidelines, schooling of horses, as well as learning about factors affecting horse-management in Africa, such as disease, climate, breeds and nutrition. Meeting and greeting with the horses and learn about their unique traits, characters and levels of schooling. 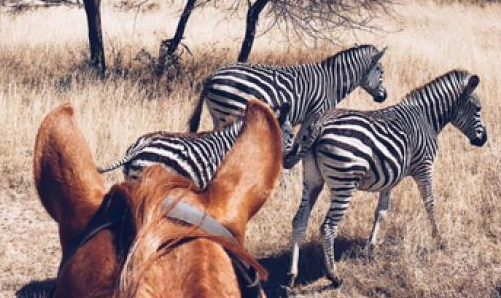 Learning and assisting in management of tack, in particular saddles, fittings, and uses for Polo, Safari or different breeds. Sunrise Rides There is no better way to start the day than riding out into the bush as the sun rises over the horizon, its rays lighting up the tall grass. Some morning's you have the option to go on a sunrise ride, cantering across the plains and keeping a careful eye out any game. 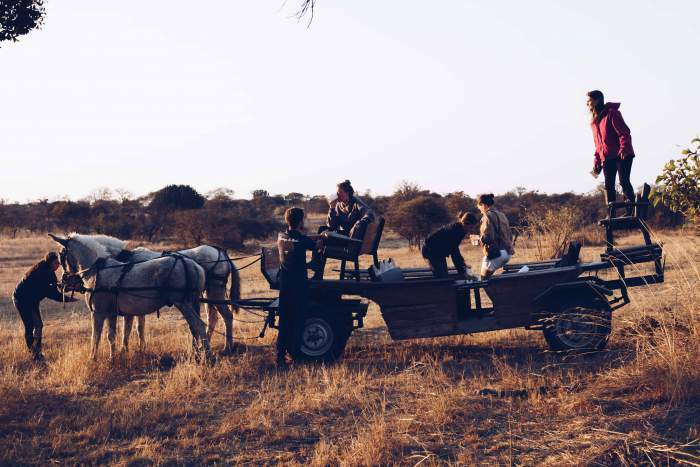 Daily Running of the Stables and Activities: Assisting initially as a back-up guide on guest safari rides and working towards acting as lead guide. 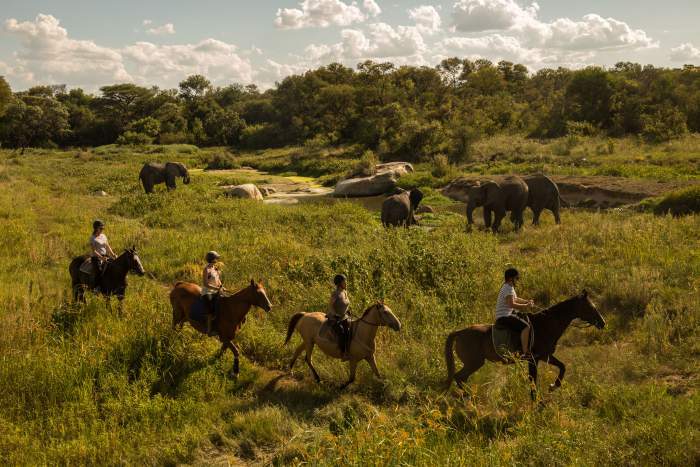 You will participate in creating a visible presence on the reserve by conducting boundary patrols and fence checks – often taking out some of the younger horses to help train them up for guest rides and getting them used to the wildlife. 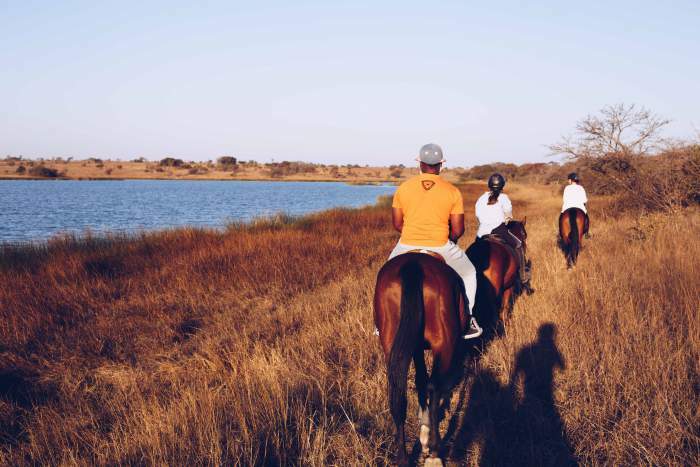 Ability dependent you may have the opportunity to instruct horse-riding lessons for groups of volunteers from our other projects at Antelope Park. 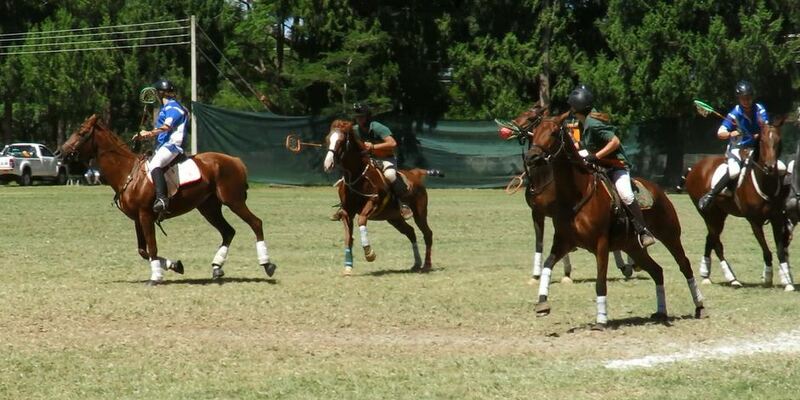 Schooling and fitness training of the polocrosse horses and practicing the sport yourself - stick and balling and preparing the Saturday matches! 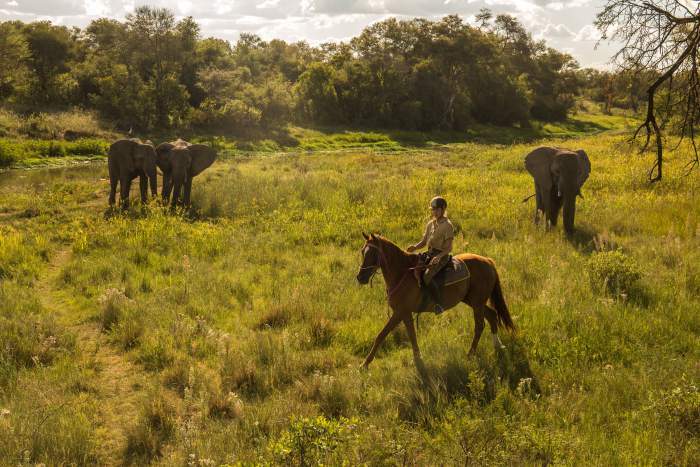 Veterinary Experience: With over 30 horses you will walk away from the experience with plenty of basic veterinary skills under your belt and a much greater understanding of caring for horses, particularly in Africa. 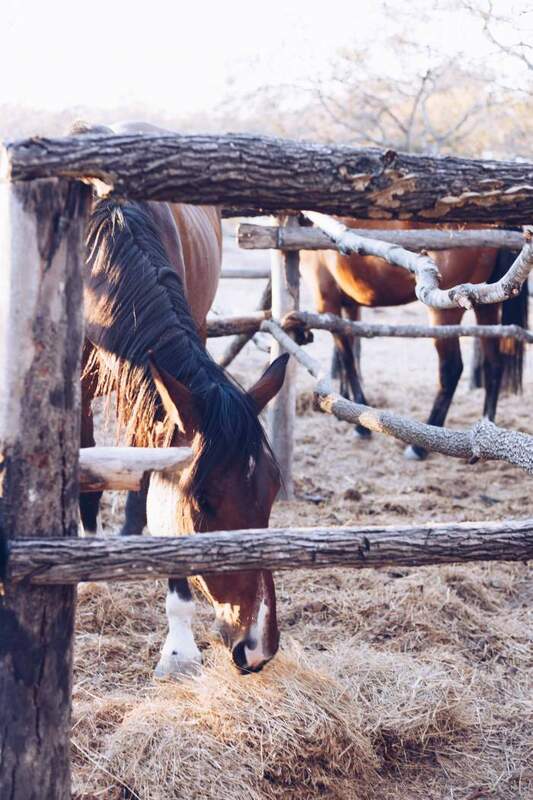 You may be involved in foal imprinting and handling if foals are present - very important – as it prepares the young horse to enjoy being ridden and handled later on in life. 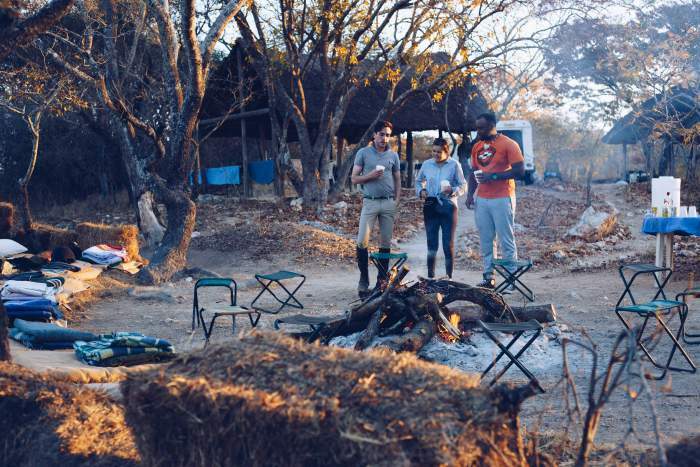 Overnight Safaris and Club Competitions: You may get the chance to attend club competitions around the country depending on whether Antelope Park staff plan to compete. 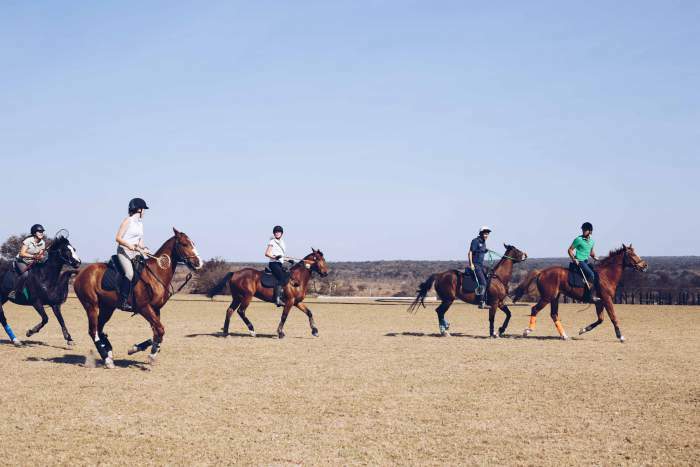 They are all competitive riders, and regularly travel to competitions around Zimbabwe - Interns will have the option to join them in competing, at an extra cost. Overnight safaris are always a highlight of the placement. 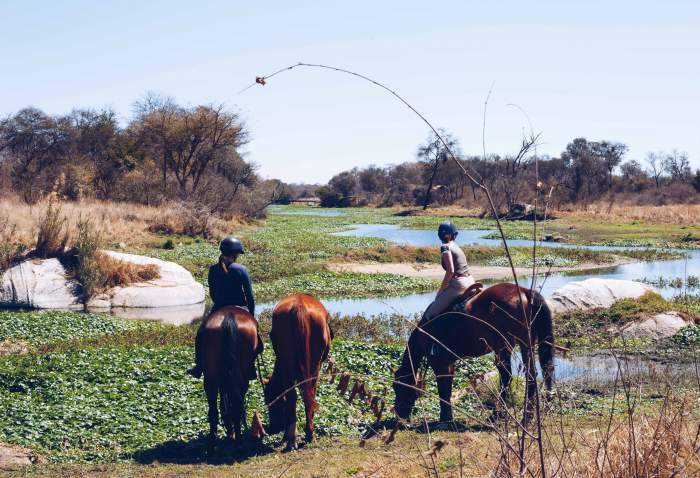 You will spend the day riding alongside game before heading out into the bush where you will reach a large dam. 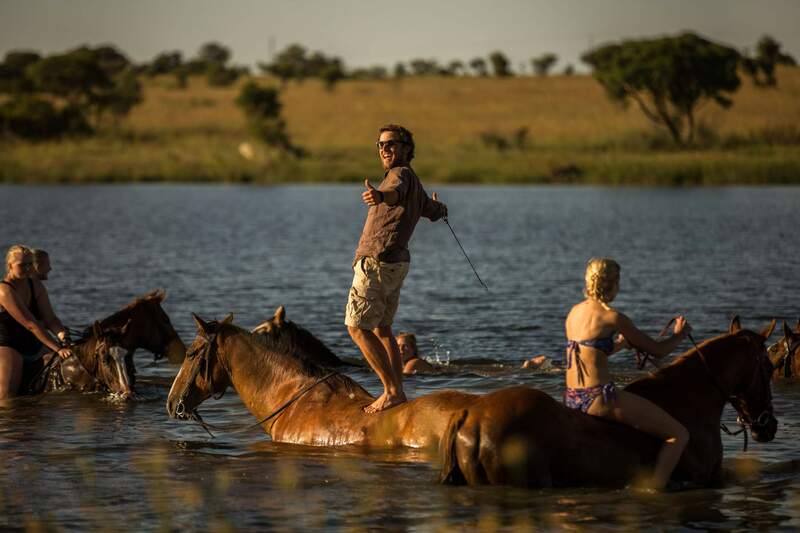 Here you get the opportunity to swim with the horses and cool off before camping out in the bush, sleeping under the stars and wake up to a cooked breakfast as the sun rises over the water – stunning. Arrivals every other Monday and Sunday. See details below. 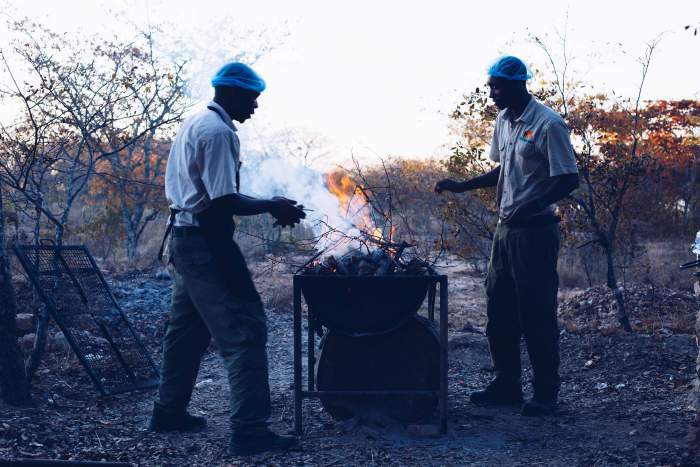 Full board and lodging which includes 3 meals a day at our Safari Camp dining area. All transfers to and from Bulawayo or Harare International Airports upon your arrival and departure. Either arriving into either Harare aiport before 2pm on a Sunday (transfer approx 4 hours) or Bulawayo airport on a Monday before 2pm (transfer approx 2 hours). 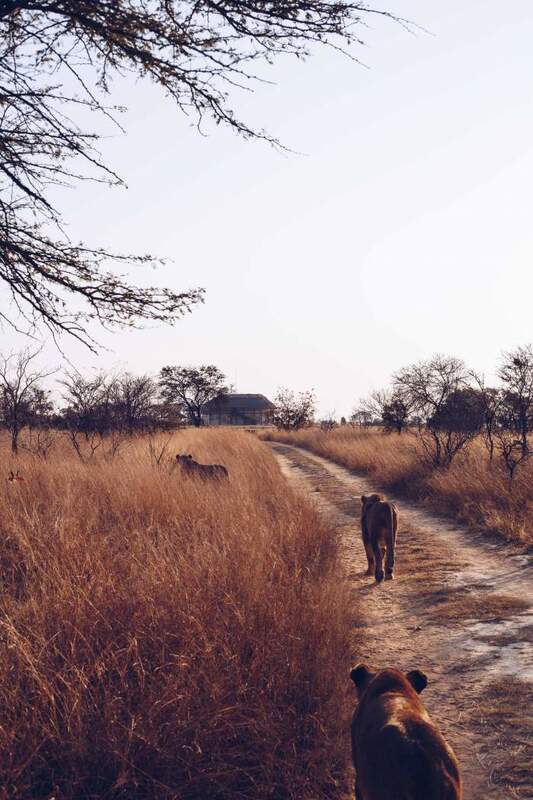 One of the highlights of this internship is that you will be based at Antelope Park Private Game Reserve providing you with a full-time nature and wildlife experience throughout your stay. 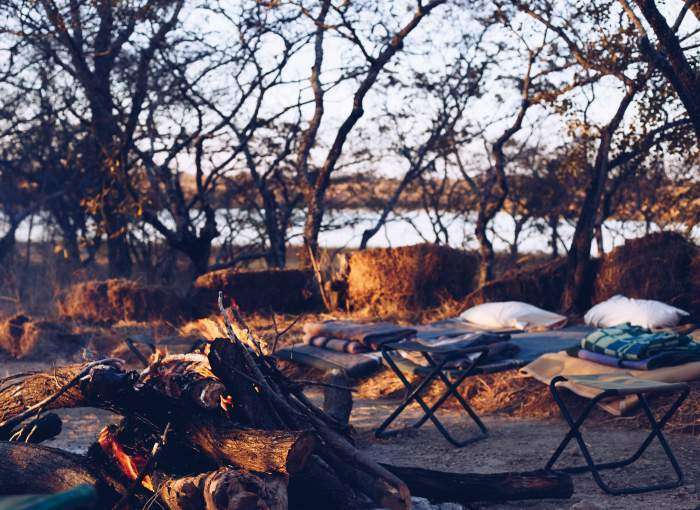 You will be sleeping in twin or quad room thatched accommodation at the main reserve camp. Here you are situated next to a beautiful dam and will have the opportunity to use the guest facilities which includes a swimming pool, canoes, sundowner deck, bar and coffee shop. The working week is Monday to Saturday, with Sundays off. Extra days off can be organised if required. Day to day, the requirements of the stable change, therefore an open mind and flexible attitude is a must! 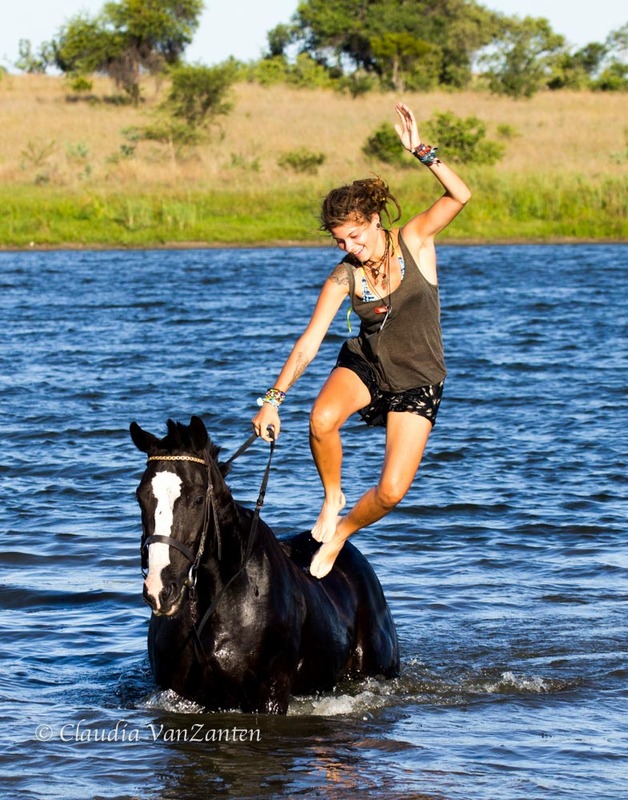 Interns can expect to spend an average of 4-6 hours daily on horseback. 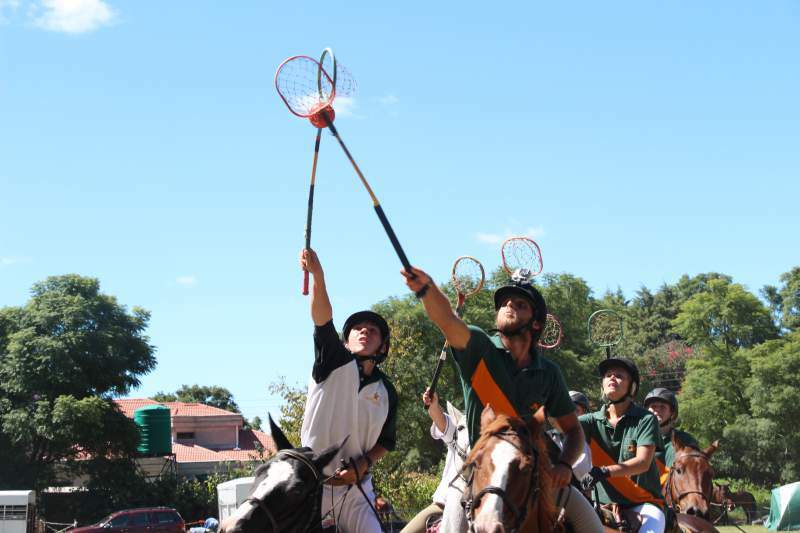 During the polocrosse season (April-September), interns who wish to compete at club level competitions will spend several of their weekends away at various clubs. 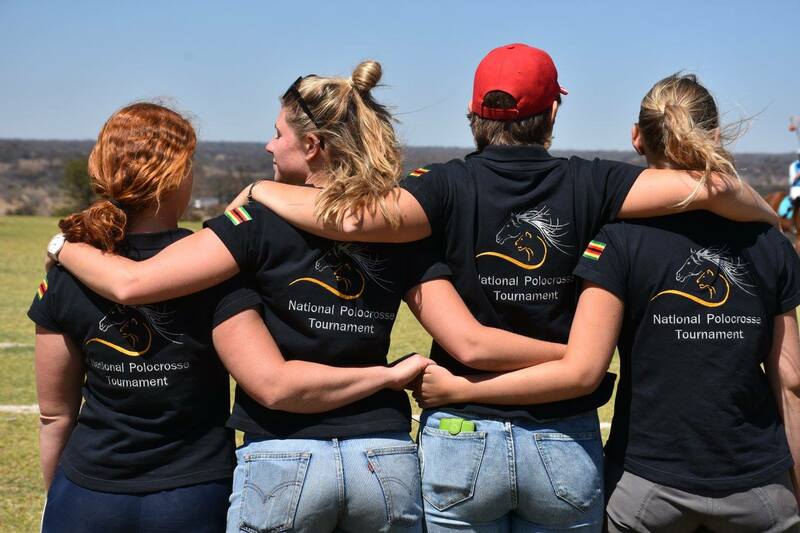 Interns will be required to groom and manage the needs of their own horses whilst at these events, and the participation of interns at such competitions will be at their own expense.